Welcoming women leaders to your leadership team with women executives is a prudent thing to do because a diversity of opinions and experiences can only make your organization stronger. But, according to a recent article by the Associated Press, it makes good business sense too. The story explores a 12-year initiative at Sodexo to increase gender diversity. A company study in 2014 demonstrated that business units dominated by men at the top earned less profit than those led by equal numbers of men and women. That dovetails with a McKinsey study last year which also found that companies with leadership roles equally divided between men and women reported above-median profits, according to the AP. One need only to look at the honorees on this list - the Top 25 Women in Healthcare - to see that the news story confirms what we have known for a long time: both gender diversity and ethnic diversity are essential to success in the mission and business of healthcare today. In our conversations with women leaders, though, we know there is still much work to be done. We need more women CEOs and board members - and more female C-suite leaders in all departments. A report by CNNMoney last month found that women hold only 14.2 percent of the top five leadership roles at companies listed in the S&P 500. Worse yet, the study found that those 500 companies only had 24 women CEOs (4.8 percent). "Corporate America," CNN concluded, "has few female CEOs, and the pipeline of future women leaders is alarmingly thin." In this, we'd advocate that healthcare has an opportunity be the industry that leads the way to a better leadership outcome for our country. 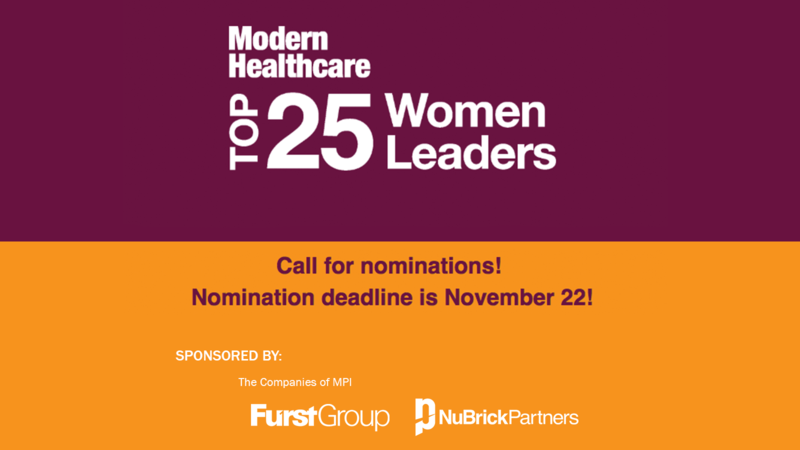 All of this explains why we at Furst Group are pleased to once again be celebrating the Top 25 Women in Healthcare, our sponsorship with Modern Healthcare. Winners were announced in this week's issue of Modern Healthcare and we urge you to save the date of Aug. 20 to join us in Nashville, Tennessee, for a gala honoring the Top 25 Women, who are some of our industry's best leaders regardless of gender. Details on attending are here. 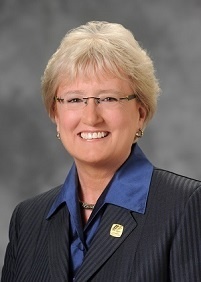 The journey to winning the Malcolm Baldrige National Quality Award was just as important as the final destination for CEO Nancy Schlichting and the Henry Ford Health System. The honor, bestowed by the office of the President of the United States, goes to a limited number of organizations each year for quality and innovation. Yet Schlichting suggested it as a goal to her team a full seven years before the system won the award in 2011. In fact, Ford didn’t merit a site visit from the Baldrige investigators until the year it won. Yet midway through those years, she and the organization had some doubts. As the system persevered, Schlichting says she took another look at how Ford was presenting its story to Baldrige. So the application was revised. The Baldrige team was interested, and sent its team out to take a look. An exhaustive look. In all, the examiners interviewed more than 1,200 Henry Ford employees. Though Schlichting’s leadership team had put together a booklet of talking points for employees, it was pretty obvious that no amount of coaching could make an army of workers fall into step with the depth of the Baldrige visit. The last couple years have brought challenges to Henry Ford as well. A planned merger with Beaumont Health System fell through earlier this year when Ford backed away after a lengthy investment of time, manpower and money. Along with its standard of quality, Henry Ford also has gained a reputation for doing the unexpected. 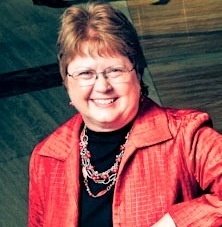 In Schlichting’s tenure, for example, the system has closed three hospitals over a 10-year period, yet doubled in size. As a math equation, that doesn’t make a lot of sense, but Ford made it work. During the same period in which the closures occurred, the system’s flagship hospital grew by 30 percent in volume in Detroit (a city that shed 30 percent of its population over the same time period) and became a destination hospital for patients worldwide, especially in cancer treatment and robotic surgery. It acquired Macomb Hospital and opened West Bloomfield Hospital. It doubled the size of its community care division and grew its ambulatory network from 23 to 30 sites. But beyond numbers, Schlichting is proud of the way that Henry Ford treated the people affected by the closures in the Detroit region that has endured many economic setbacks. Schlichting credits her own long-term success to having good mentors. In fact, she was promoted to her first COO position when she was just 28. She’s not sure that today’s millennials could get such an opportunity in today’s market. Schlichting has written forcefully about the need to provide more chances to young healthcare executives. She sees similar obstacles for women executives. Her work at Henry Ford has earned her many awards, including Modern Healthcare’s Top 25 Women in Healthcare and 100 Most Influential People in Healthcare, but she is impatient for gender equity to become more of a reality. “I’m still disappointed in our industry,” Schlichting says. “There are a lot more women working in our health systems, but not very many women leading them. One thing I’ve tried to do is help young people and women understand what it takes to succeed. I don’t sugarcoat it. It’s a busy time at Mayo Clinic. Plans for the new Destination Medical Center are in full swing. 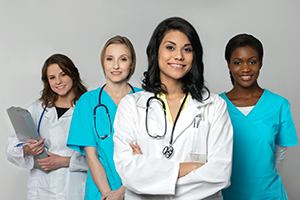 New affiliates are being added to the Mayo Clinic Care Network. A new partnership with Optum Labs is taking the venerable institution into the realm of big data. So why would Chief Administrative Officer Shirley Weis decide to retire now? Because, she says simply, that’s been the plan all along. And, for those keeping score at home, she says, you’ll notice a pattern to their planning. Weis was named to the No. 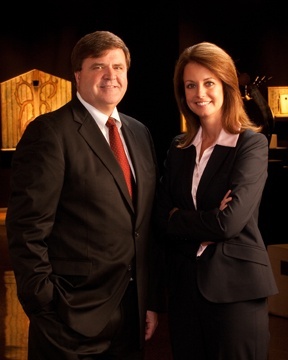 2 role at Mayo about halfway through the tenure of then-CEO Denis Cortese, MD. Weis is leaving four years after John Noseworthy, MD, succeeded Cortese. Mayo’s initiative of staggering C-suite entrances and exits keeps disruption to a minimum. Among the tasks that Weis says she is gratified to have accomplished since she stepped into the CAO role seven years ago is changing the structure of the company. One of those key ventures is the Mayo Clinic Care Network, in which health systems and physician groups affiliate with Mayo, extending the clinic’s reach beyond its bases of the upper Midwest, Arizona and Florida to the rest of the country. The idea had been created during Dr. Cortese’s tenure but truly came into being about two and a half years ago under Dr. Noseworthy’s leadership, Weis says. Mayo is up to 18 affiliate agreements but Weis sees a limit to the system’s capacity. The blurring of lines between providers and payers is accelerating in the healthcare industry, and Weis has been a key person to lead that charge at Mayo. She was the chief operating officer at Blue Care Network of Michigan, a large HMO, before coming to Minnesota. Weis says both providers and payers need to focus on what’s best for the patient – and both need to collaborate more. Working with fewer dollars is something Weis experienced a few years ago during the recession when she put in place an administrative shared services program and an enterprise project management office, while also implementing cutting-edge tools for financing and reimbursement. All those things, and a few more, helped Mayo weather the recession without layoffs, though some employees shifted jobs and some changes were made to benefit packages and retirement plans. Weis had originally come to Mayo in 1995 to lead the Clinic’s managed care division. She resisted the overtures from a recruiter for a time, but finally agreed to a visit. As she got to know Al Schilmoeller, who was her first boss, she noted that one of his daughters was a pilot and another worked for the Department of Natural Resources. That convinced her that here was a man who knew how to support women in their varied career aspirations. She remembers that, she says, as she mentors early- and mid-career women and men. “For women or men, for anyone to make it to the next level in your career, you have to be willing to take some risks,” she says. But she notes that young executives who only know the sound-bite version of Sheryl Sandberg’s “Lean In” best-seller do need to consider work-life balance. “I would not be where I am today if I didn’t have a supportive husband. Period. I see many people who want to have that balance, and the one thing I know for a fact is that you can’t always have it all. You can have it all in stages. But I do think that as long as women are in a traditional caregiver, chief household operating officer role, it’s tough to balance that. 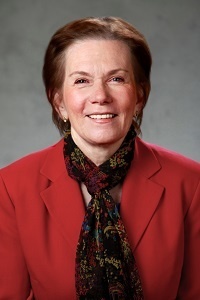 Weis came of age at a time when she often was the only woman on the leadership team, and she says progress has been made in gender equity – progress, but not equality.